Narconon attends community event to provide drug prevention information while the race offers youth both fun and leadership skills. Working hand in hand with organizations like Friday Night Live and the Sheriff’s Department, we know we are making a difference. October is the month for drug prevention, and communities around the country are staging events to increase public attention on the danger of drug abuse. 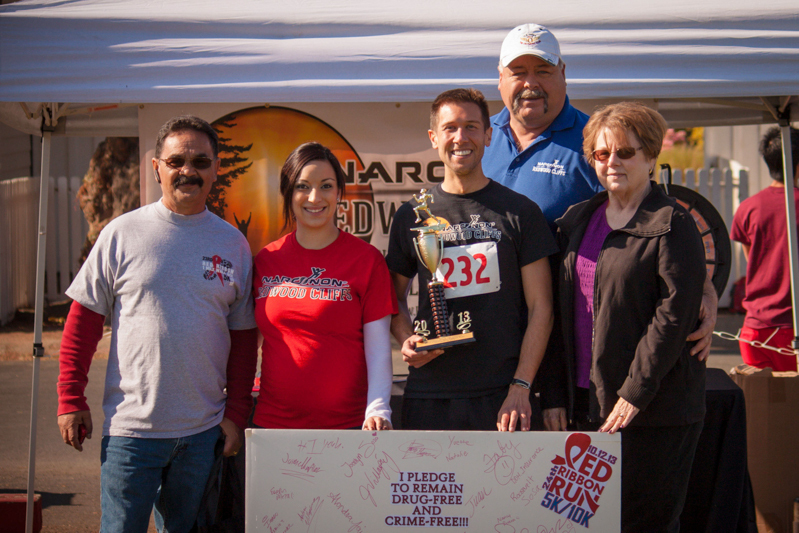 In San Juan Bautista, just a few miles from Monterey Bay in California, community organizations came together to celebrate Red Ribbon Week with 10K and 5K races. 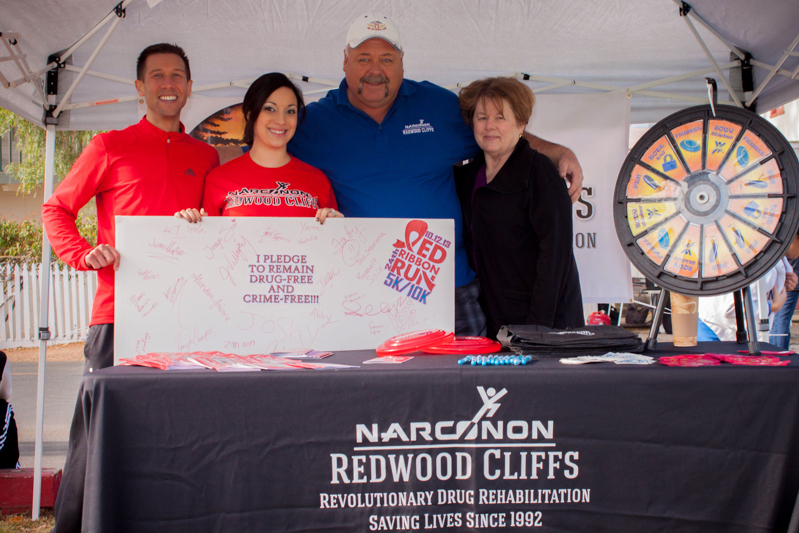 Narconon Redwood Cliffs was there to lend their support for the anti-drug message. The race started early in the morning on October 12, 2013 in this small town. The race terminated at the beautiful, historic California Mission of San Juan Bautista. Race sponsors were the San Benito and Monterey Counties' Friday Night Live organizations. These groups sponsor events to provide high school students with opportunities to learn leadership and give youth of all ages fun, meaningful activities. Both Narconon Redwood Cliffs and Friday Night Live staff were there to educate community members on their activities. The Narconon staff handed out hundreds of drug education booklets along with frisbees, pens and tote bags. 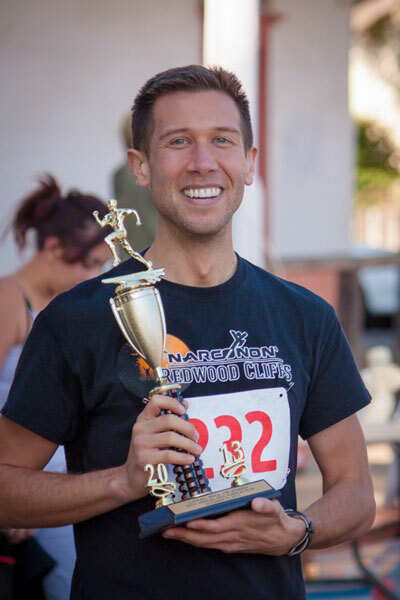 An additional contribution to the fun of the day came from John Waterman, a Narconon staff member, who won the 10K race. 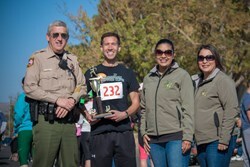 "I pushed myself during this race," he said when he received his trophy, "because I know that the funds raised here are used for drug education and prevention in San Juan Bautista. Every child in town deserves the chance to live in a drug-free community and to grow up drug-free." Narconon staff also invited the kids who attended to sign a drug-free pledge. More than 150 young people signed a pledge board that was then given to the country representatives who run Friday Night Live activities. "Parents and officials who came by our booth loved what we were doing and told us to keep going," said Alex Matthews, community relations representative from Narconon Redwood Cliffs. "It is part of our philosophy to reach out to youth through drug education classes and community events like these all year round. Working hand in hand with organizations like Friday Night Live and the Sheriff's Department, we know we are making a difference."